Compassion started working in Brazil in 1975. Today, there are over 51,000 children registered in our programs through 185 church partners. One of the world’s biggest economies and a rising global power, Brazil has struggled for decades with a growing gap between rich and poor. After a recent recession and multiple corruption scandals among its political elite, Brazil faces an uncertain future—and the nation’s poor remain marginalised. Home to more than 200 million people, Brazil has the largest population in Latin America, with the majority of citizens living in industrial cities, like Sao Paulo and Rio de Janeiro. Rapid growth in the urban population has created serious social, environmental and political problems, with millions of people living in slums and on the streets. Children living on the streets are subject to drug and solvent abuse, as well as prostitution and violence. As a result of extreme poverty, child prostitution is on the rise, particularly in areas frequented by foreign tourists such as Rio de Janeiro, Recife and Fortaleza. Despite progress over the past decade, there remains a wide gap between the rich and the poor in Brazil. In rural regions of the country, literacy, infant survival rates and access to water facilities are well below the national average. Only 58 per cent of people in rural areas have access to adequate sanitation facilities, compared to 91 per cent in the cities. Brazilians will go to the polls for Presidential elections toward the end of 2018 and already there is widespread uncertainty and speculation as to who is most likely to run. Former President Luiz Inácio Lula da Silva (2003-2011) was convicted of corruption and sent to jail in April 2018. He had been the frontrunner for this year’s election and still leads many polls despite his conviction making him ineligible. The electorate is increasingly polarised and restive, and it’s likely the national mood will remain volatile in the leadup to election day. Dear Sponsor, Greetings in Jesus’ name! My name is Jose Carrasco. I am the South America Area Director and I’ve been privileged to serve as the Interim Country Director of Brazil since 2014. I was born in Peru; I am married to Laura and we have two wonderful children, Jose Alonso and Natalia. I am proud to inform you that Compassion has been serving Brazil for more than 40 years. We currently have 182 projects in Brazil and are serving more than 51,000 children. The impact of Compassion’s holistic program in the life of a child is huge! My name is Jose Carrasco. I am the South America Area Director and I’ve been privileged to serve as the Interim Country Director of Brazil since 2014. I was born in Peru; I am married to Laura and we have two wonderful children, Jose Alonso and Natalia. I am proud to inform you that Compassion has been serving Brazil for more than 40 years. We currently have 182 projects in Brazil and are serving more than 51,000 children. The impact of Compassion’s holistic program in the life of a child is huge! The children feel loved, cared for, nurtured and supported in more ways than one. At the projects, children have the opportunity to identify their strengths, develop their gifts and talents and overcome difficulties. They are taught, among other things, that they are special because they are children of God. You have made this possible through your sponsorship and your prayers. We would not be able to reach all those wonderful children without your generous and selfless giving. Unlike a child who is not in a program, a sponsored child has a safe place to go each day and is taught about the love of Jesus. You truly are making the difference in these children. Thank you so much for your support! Allow me to share just some of the struggles we face on a daily basis. 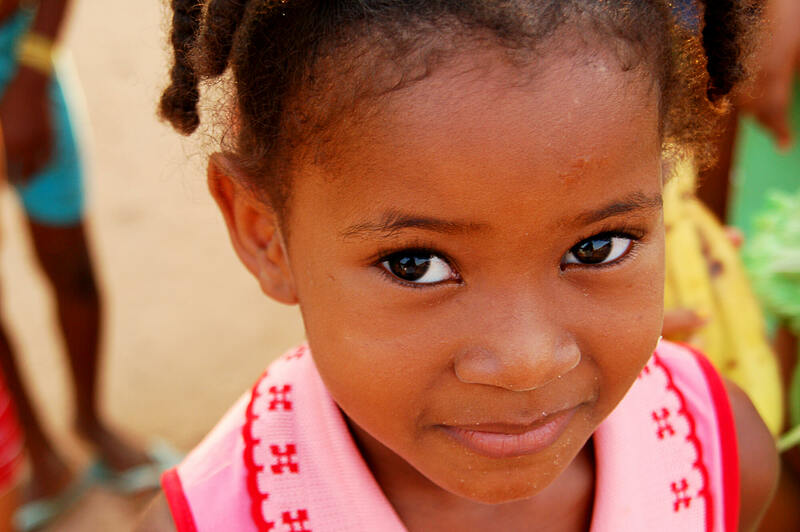 Compassion serves the poorest children in Brazil and their families. The children are at high risk of sickness and even death in their early years. They are surrounded by violence on a daily basis, the absence of one of the parents, etc. They also face an economic crisis: unemployment and cost of living are extremely high, making life increasingly difficult for those who live in poverty. Lack of water and access to good, medical attention is a daily struggle. Their hospitals lack the medicine and equipment needed to serve their communities. 2017 has arrived, bringing with it many challenges, but by God’s grace we will continue to go forward and face any struggle that presents itself. 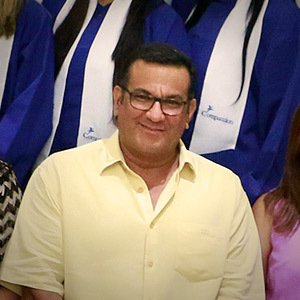 Compassion Brazil has improved its program and materials to better empower the Church to fulfil its mission. We are encouraged by the willingness of the Church to work hard and diligently through trainings, facilitation visits, materials and local mobilisation to better serve the children. Compassion Brazil has excellent plans in place to develop Child Protection Networks, Early Childhood and Youth Development Strategies to be prepared to help more young people. It is possible to change the lives of more children. We have seen it so many times! It happens when the Church of Christ gets mobilised in prayer and action to intervene in the lives of children. Nourishing the relationship between the sponsor and the child is of utmost importance. I’d like to encourage you to write letters. When a child receives a letter, to him/her it’s like receiving a gift. It means more to a child than you will ever know. Your words really encourage, nurture, and affect him/her positively. Knowing someone who lives so far away is praying and thinking about him/her make them feel loved and appreciated. In the community of São Cristóvão in northeastern Brazil, the great majority of its 18,000 inhabitants live in vulnerability. In this community, a filthy stream crosses one specific street, dividing the people into those who are vulnerable and those who are most vulnerable. The stream isn’t just a border—it’s a constant threat to the surrounding families, regularly rising after heavy rain to flood their homes. In the community of São Cristóvão in northeastern Brazil, the great majority of its 18,000 inhabitants live in vulnerability. In this community, a filthy stream crosses one specific street, dividing the people into those who are vulnerable and those who are most vulnerable. The stream isn’t just a border—it’s a constant threat to the surrounding families, regularly rising after heavy rain to flood their homes. As the dirty water invades, it can reach as high as the ceiling. After the rain is gone, they have no choice but to restart their lives living in the same place, facing the same misery. It is a cycle that seems endless and unbreakable. Geisiane, aged four, lives with her mother, Josiane, in a single-room home with a bare concrete floor and a curtain for a door. She likes to play in the “garden” in front of her house, which is the stream’s bank. She says she’s used to the regular flooding, but the last time it happened, she was devastated. The water stole her greatest treasures—letters from her sponsor. Josiane understands sponsorship as a chance for her daughter to have a friend to share. In fact, she understands it so deeply that she insists that she, not a program worker, will be the one helping Geisiane to write back to the sponsor. Please pray for BR-0544, a child development centre in Pacajus in the nation’s northeast. The staff there write: “The town has experienced a very difficult phase of violence and crime, which has directly affected the church’s actions in the region. The neighbourhood is dominated by criminals, which hampers entry and exit of volunteers in the area. The parents of some children were forced to leave their homes and flee because they have some kind of relationship with the factions. This context of fear has delayed our activities and prevented us from carrying out home visits.” Please pray for safety and strength for the church, centre staff and the children and their families. Please pray for God’s Spirit of peace to bring change to the neighbourhood. Please pray for the Compassion Brazil staff as they look to relocate the national office from Campinas in Brazil’s southeast to Fortaleza in the northeast. This is a big move and requires a lot of prayer—please pray for the practicalities and logistics, as well as for all the staff who are affected. 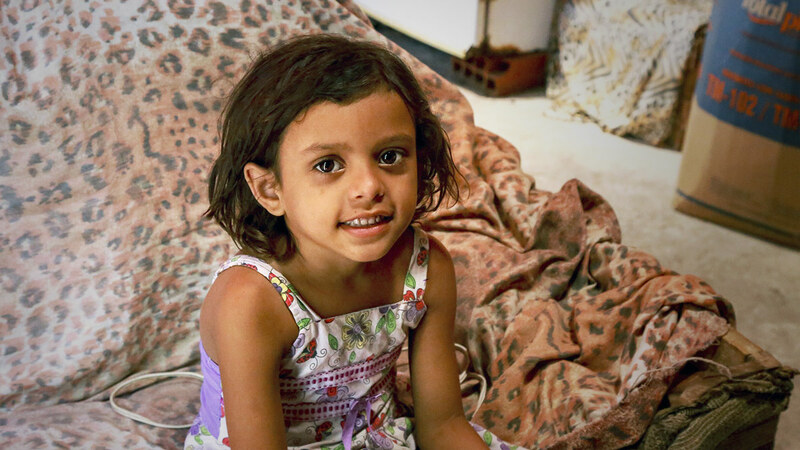 Please pray for Kelly, a Compassion assisted girl who has been suffering from fainting spells. She has an appointment soon to see a neurologist; please pray for her and her family as they await the results of the tests she needs. Pray for strength and peace. Pray for the families of Sertão (a particularly poor region of Brazil). Many parents there are unemployed, and the trend is for families to migrate to other parts of Brazil in search of work. When this happens, usually there is no possibility for the children to continue in the Compassion program. Pry for Janaína, a local centre staff member who has been struggling with depressive problems due to the situation of her community. Pray for support and healing for her. And please pray for all local staff as they confront the daily difficulties and traumas of poverty and seek to serve the children most affected. A psychologist working with Compassion-assisted kids explains how their art offers clues for how to help them. As the Zika virus becomes a growing concern across Latin America, here’s how it affects communities where Compassion works and our response.